Tilt shift videos and photos have exploded in popularity in recent years and now it seems everywhere you look someone is making something new and wonderful. But why are tilt shift photos and videos so popular? Because the imagery created is endlessly entertaining. Artists, photographers and enthusiasts are creating delightful videos and photos that take ordinary scenes and situations and invest them with a new perspective. One explanation for the surge in popularity is availability. A relatively recent alternative to tilt shift cameras and lenses are tilt shift makers, software programs and online applications that allow you to apply tilt shift effects to a standard video. The software manipulates the video to create an effect that is identical to the standard tilt shift look. In essence, now anyone can create tilt shift videos with this new generation of tilt shift makers. Download the latest version of Wondershare Filmora from the download button below, you can choose between Windows and Mac depending on your system. Import your standard video clips. Wondershare Filmora allows you to import videos directly from a camera, smartphone, tablet or virtually any other device. Drag the video clip into the timeline, then go "Effects" panel, and locate "Utility", you will find the "Tilt-shift Circle" and "Title-shift Linear" options. Choose the one you like and drag it to the timeline over the main video clip. Double click on the Tilt-shift effect in the timeline to open the Effects editing panel. Here you can adjust the Size, Intensity, Position, and Rotation of the effect. You can also directly adjust these options in the Viewer panel. 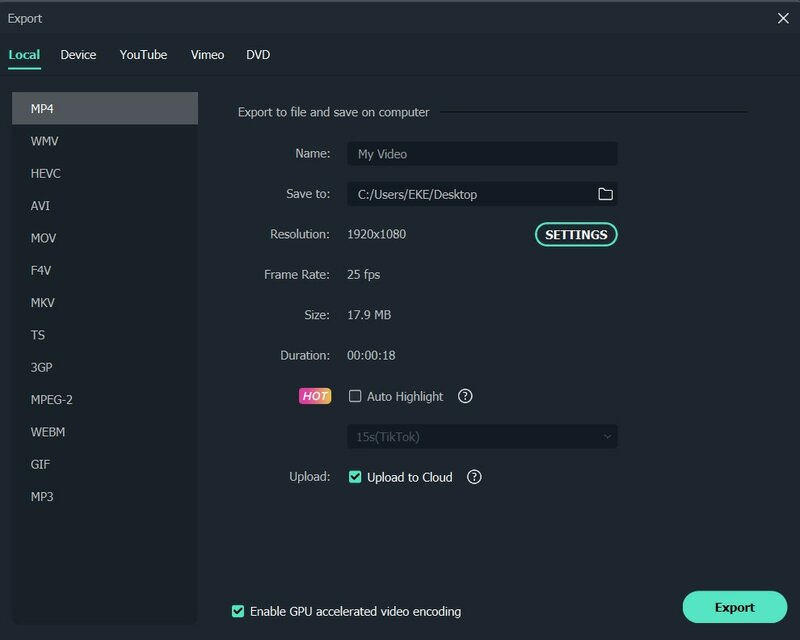 Wondershare Filmora allows you to save your new tilt shift video in a variety of formats, including WMV, MOV, AVI, MKV and MP4. You can share directly to YouTube, Facebook and Twitter from the program. 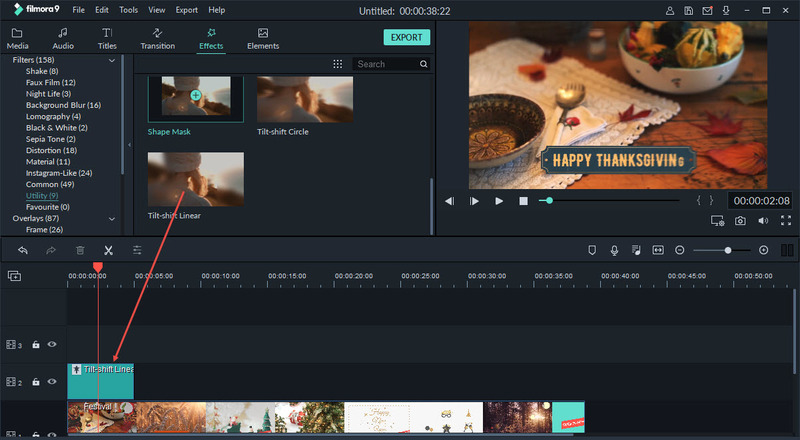 Added benefits of Wondershare Filmora video editor are that the program is available in both Windows and iOS versions, and its roster of special effects and features is constantly expanding. 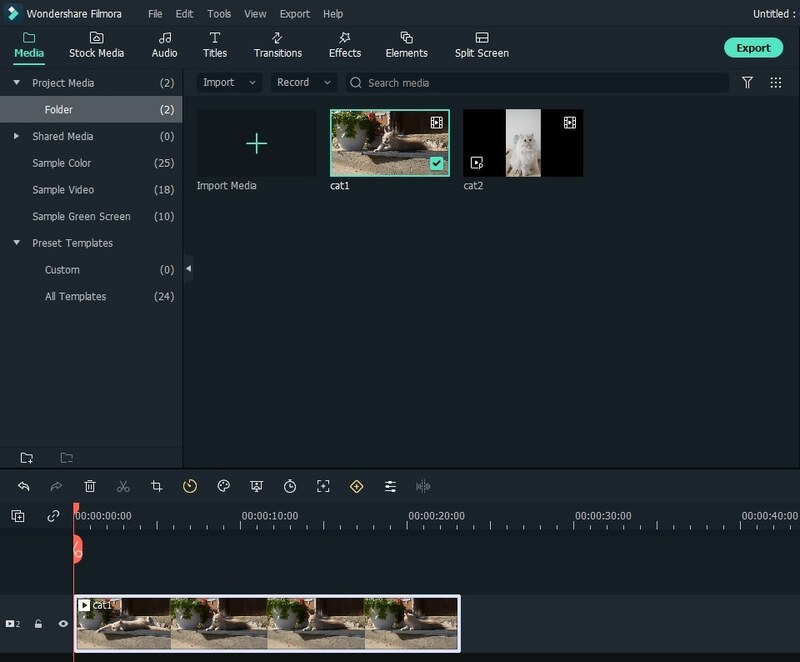 Everyone can participate in making tilt shift videos with Wondershare Filmora, and there are always new features and capabilities to explore and innovate with. 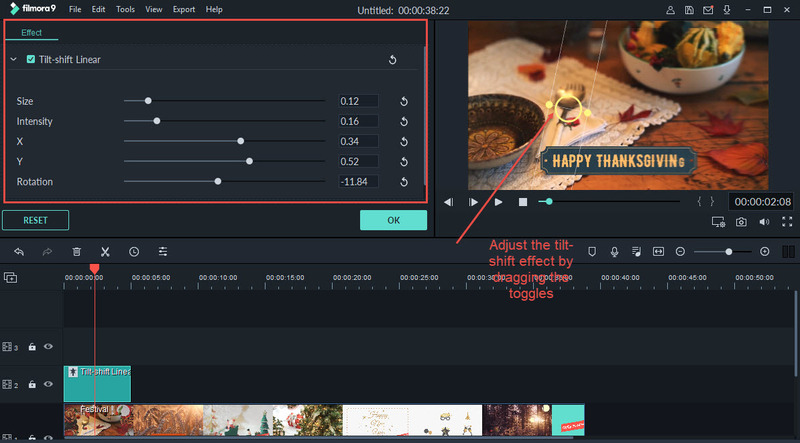 Wondershare Filmora is also a versatile video editing and special effects program, another reason for its popularity with video making enthusiasts. The lesson here is, you don't need a fancy tilt shift lens to make great tilt shift videos. If you want to experiment with the look and style of tilt shift photography, a tilt shift maker like Wondershare Filmora allows you to explore what is possible. Download it to get started with your project now, here's the free trial version! I love the filmora editor. Just one suggestion for future update: the sample picture when selecting overlays or filter or other effects already contains lens flare and a color shift due to the sunsetty mood inherent in the picture. Makes it hard to select effects like lens flare, bokeh, filters and overlays without applying them to the clip.